Saturday 31st May, the Rotary Club held it's first car wash as a fundraiser for the Splash Pad Project. Woolies/Caltex supplied the equipment and sausages for the sausage sizzle. 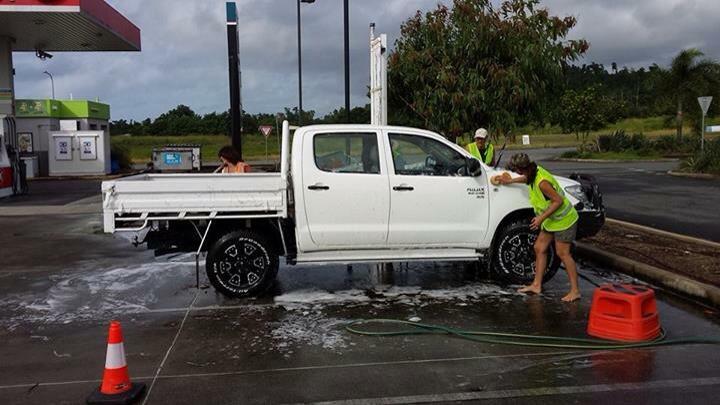 Over 60 cars were washed on the day and the club raised just under $500 for the day. A big thank you to Tom Brown for organising the event and an extra special thank you to everyone who volunteered their time on the day.